Everybody wants to flash a beautiful smile with a set of bright white teeth! But some people avoid smiling due to white spots on their teeth. Seems a little strange, since teeth are white, right? But this condition, known medically as hypocalcification, is very common and occurs in people of all ages. 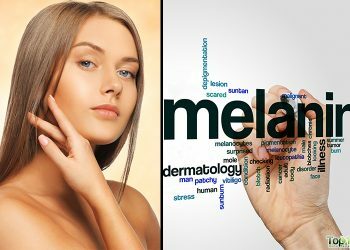 Although the white spots are not always immediately visible, once you see them, you become self-conscious about it and this can affect your self-confidence. 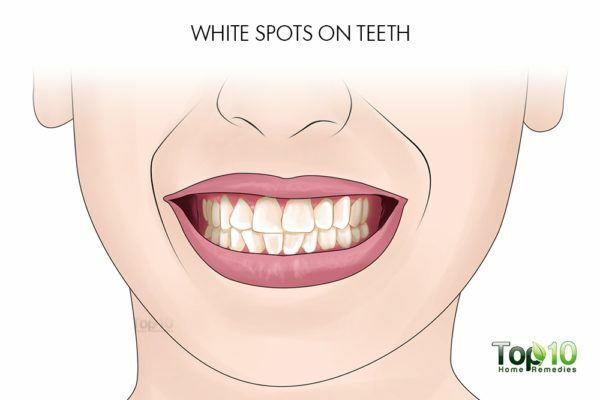 White spots develop on the teeth for various reasons. Some common causes include fluorosis (a condition that damages the teeth enamel), decalcification, loss of mineral in the teeth, excessive consumption of acidic fruits and drinks that damage the enamel, acidity, dry mouth, poor oral hygiene and braces on the teeth. If the cause of the problem is fluorosis or excessive calcium secretion, then you need to be serious about your oral health. This is because the white spots on your teeth can lead to tooth decay or deterioration. In fact, white spots on the teeth are actually the first sign indicating that your teeth have started decaying. There are a number of approaches that can help eliminate white spots. These include microabrasion, bleaching, porcelain veneers and others. All these procedures are expensive and may require a number of visits to the dentist. However, don’t let white spots on your teeth keep you from smiling. Like most oral issues, you can easily get rid of white spots on your teeth with some easy home remedies and lifestyle changes. 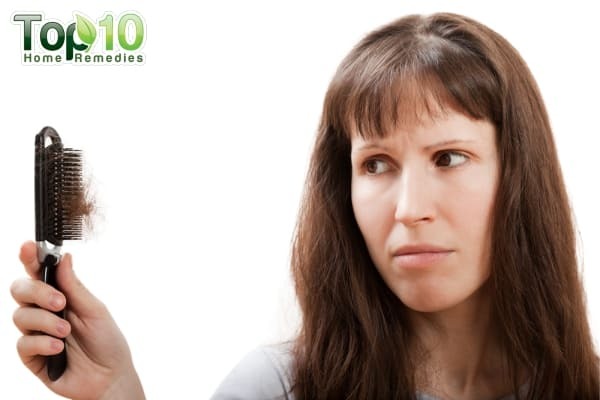 Here are the top 10 ways to remove white spots from your teeth. One of the main reasons white spots occur is because of poor oral hygiene. Hence, the first step you need to take to remove the ugly spots is maintain good oral hygiene. 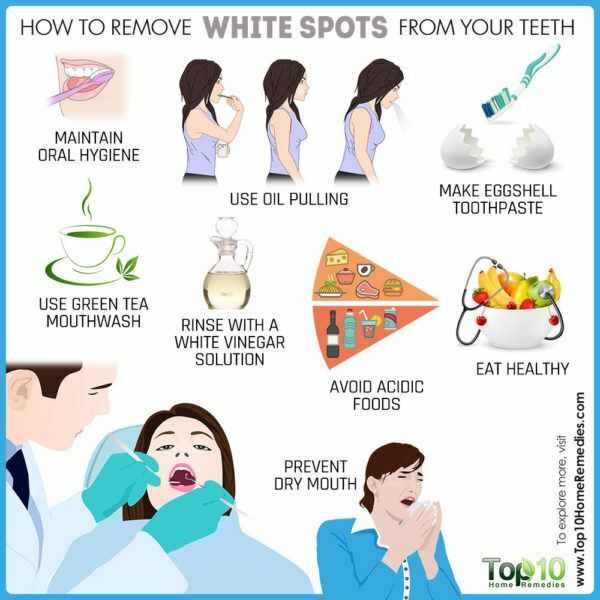 In fact, white spots are easily preventable with thorough and regular brushing and flossing, which prevents the accumulation of plaque on the teeth. Brush twice daily and make sure that you brush all the different surfaces of your teeth. Also, use a fluoride rinse to keep your teeth clean. As normal brushing can be difficult while wearing braces, you can use specialized toothbrushes as well as floss that help you brush and floss more easily through the wires. You can also try using a water irrigator that uses pulsating water to remove plaque between the teeth. 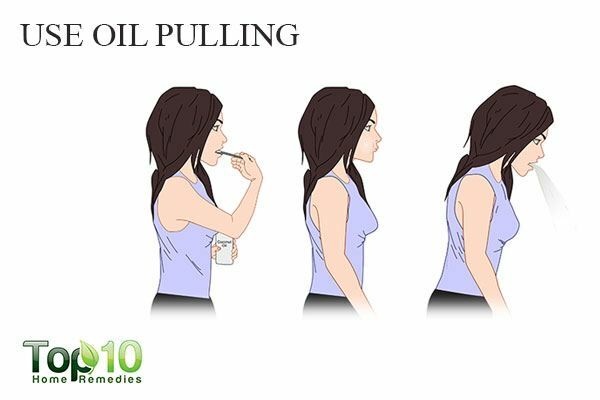 Oil pulling is an age-old technique that helps maintain good oral hygiene. Oil pulling helps remove any buildup of plaque from your teeth and prevents cavities from forming. This in turn reduces the risk of white spots on your teeth. In a 2017 review published in the Journal of Traditional and Complementary Medicine, researchers found that oil pulling helps reduce the overall number of bacteria in the mouth and can help reduce the amount of plaque on the teeth. For oil pulling, one of the best oils that you can use is extra-virgin coconut oil. Put 1 or 2 tablespoons of extra-virgin coconut oil in your mouth. Swish the oil around in your mouth for up to 20 minutes, then spit it out. Finally, rinse your mouth and then brush your teeth as usual. Do this daily in the morning on an empty stomach. Eggshells contain a good amount of calcium, and toothpaste made from eggshells can help strengthen and even remineralize your teeth. A 2015 study published in the Journal of Clinical and Diagnostic Research found that a solution made of chicken eggshell powder helped remineralize the enamel of people who had suffered teeth lesions. Boil, dry and grind the shells from 12 eggs. In a small bowl, mix together the eggshell powder, 1 tablespoon of baking soda and 1 to 3 tablespoons of coconut oil. Optionally, add a few drops of peppermint essential oil. Store it in a small jar. Use it daily as a regular toothpaste to brush your teeth. 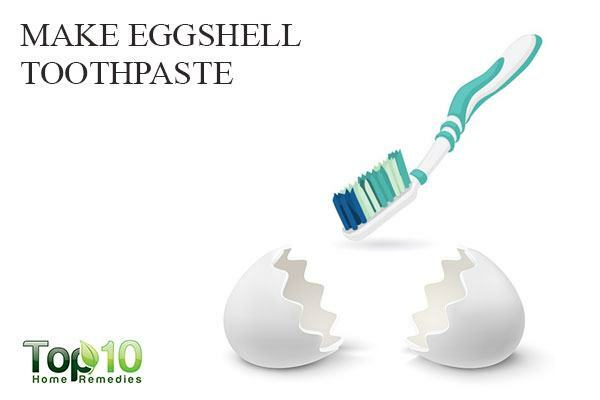 Your homemade eggshell remineralizing toothpaste should last for a few months. 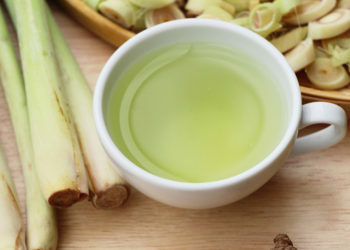 Green tea can serve as an active agent for remineralization of your teeth. It consists of gallic acid, chlorogenic acid and flavonoids, some useful nutrients and minerals needed for remineralizing teeth. Plus, the catechins in it play a key role in preventing the buildup of plaque, and this in turn prevents the development of white spots on your teeth. It is also a natural source of fluoride, thus making your teeth less prone to acid exposure. 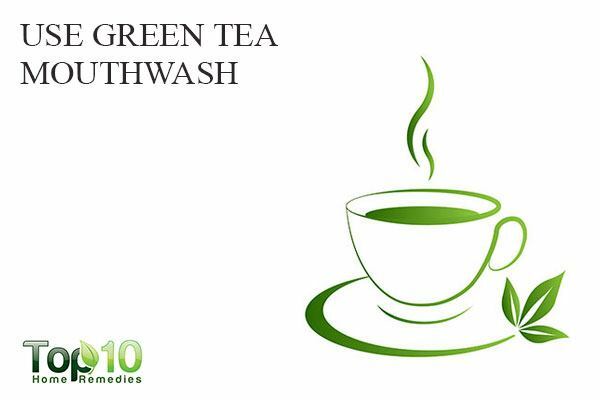 Put 1 green tea bag in a cup of warm water. Steep for 5 minutes, then remove the green tea bag. Allow the tea to cool down a bit. Use the cool tea as a mouthwash. Later, rinse your mouth with warm water. Use this remedy 2 or 3 times a day. 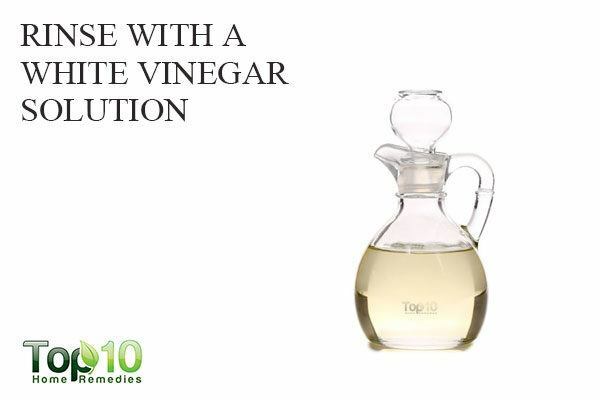 White vinegar contains acetic acid that can help prevent demineralization of teeth enamel. Plus, it can prevent and reduce accumulation of plaque, which is one of the reasons behind the development of white spots on the teeth. 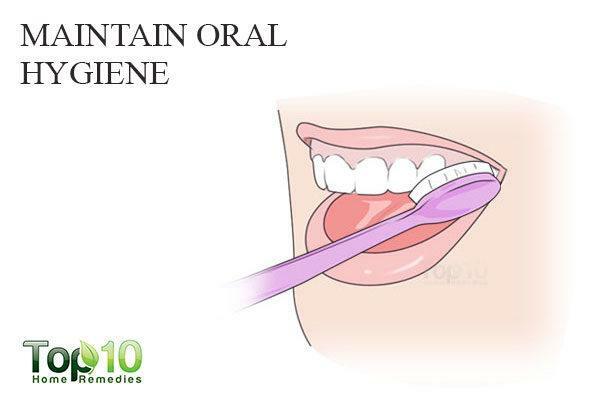 It also kills bacteria in the mouth and will treat bad breath. Thoroughly mix 2 teaspoons of white vinegar and 1 teaspoon of salt in ½ cup of warm water. Use it to rinse your mouth twice a day. Eating too many acidic foods is another common cause of white spots on the teeth. Acidic foods and drinks can wear away the enamel on your teeth. This outer layer of enamel protects your teeth from damage and, if the outer layer gets worn down or removed, it can result in white spots and other oral problems. 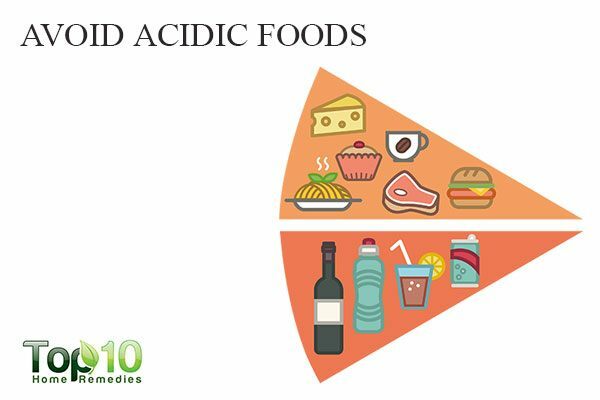 Hence, avoiding acidic foods in excess is another preventive measure to stop the formation of white spots on the teeth. Some acidic foods that you must avoid are sour candy, lemons, oranges, grapefruits, carbonated soda and lemonade. At the same time, you must limit the intake of foods high in phytic acid, as it impairs the absorption of calcium, zinc and iron. Foods that contain high amounts of phytic acid are brown rice, beans, peas, grains, seeds and nuts. 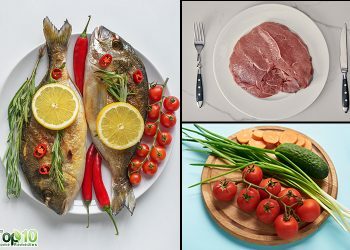 You can enjoy these foods but in moderation. 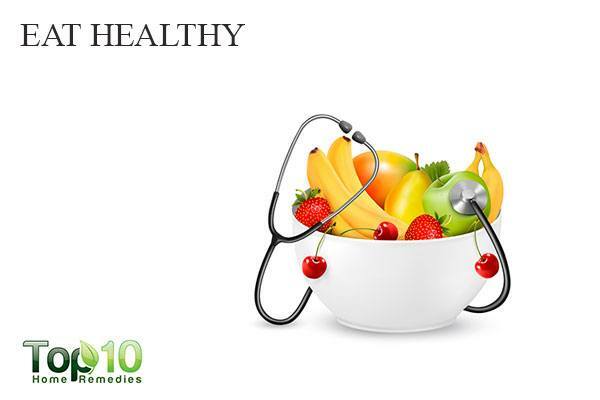 To maintain oral health and remove white spots on the teeth, you must try to eat healthy. There are many vitamins and minerals that are important for your teeth. Eating the right kind of foods reduces the risk of mineral deficiency that can result in white spots on your teeth. When it comes to food for teeth, calcium-rich foods are very important. Calcium helps protect your teeth from tooth decay as well as white spots. Milk, milk products as well as green vegetables are high in calcium. Along with calcium, vitamin A, B vitamins and vitamin D are also important for your teeth. Minimize mouth dryness as much as possible to reduce and prevent white spots on your teeth. In fact, dry mouth is one of the leading causes of this problem. 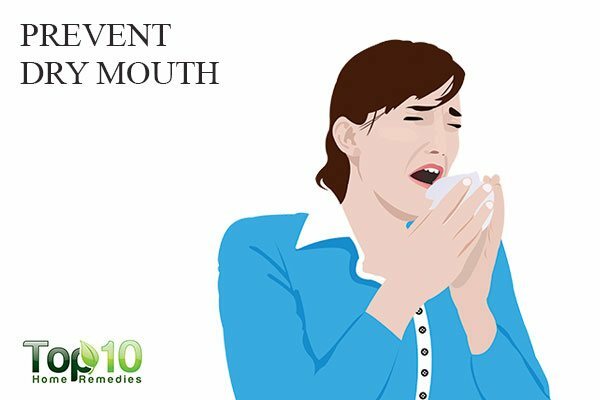 When your mouth is dry, it will hold bacteria and allow it to grow. The acid from the bacteria will attack your teeth, which in turn will cause white spots. As saliva is important to prevent dry mouth, you must increase your fluid intake to boost the production of saliva. Proper hydration will make it easier for your body to produce more saliva. Drink an ample amount of water throughout the day. Also, eat water-based fruits and vegetables like pineapple, watermelon and cucumbers. Avoid caffeinated beverages, sodas and alcoholic drinks, as they can have a dehydrating effect. After every meal, clean your mouth as well as your teeth thoroughly to remove food particles that get stuck between the teeth. Dry brushing or brushing with plain water can also be practiced to gently clean your teeth. Those who smoke should start take steps to quit, as it is bad for your oral health. Avoid drinking alcohol to protect your teeth from unwanted chemicals. Children under age 6 should use only a pea-sized amount of fluoride toothpaste. Also, make sure they do not swallow it. Visit your dentist every six months for a regular dental checkup. 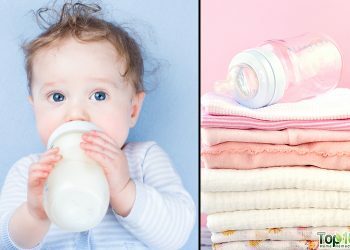 If you are pregnant, talk with your dentist or obstetrician about fluoride intake and any medications that could interfere with your unborn child’s developing teeth. You can also use a baking soda. Just mixed it with toothpaste. Keep on sharing! Early detection of any symptom shouldn’t be avoided, especially in oral care. These remedies are definitely helpful.